Every member of our team of highly trained professional staff at LipoLaser of South Jersey is focused on helping you achieve your personal beauty goals for your body, facial appearance, and full body wellness with non-surgical treatments. Whether you are interested in facial rejuvenation, body sculpting or non-invasive fat reduction, our team can recommend the right treatments to help you reach your goals. Turn back the hands of time and achieve the natural, radiant skin of your youth. At LipoLaser of South Jersey we offer a state-of-the-art combination of highly effective facial sculpting treatments. It doesn’t matter who you are – having confidence in your appearance is absolutely crucial, and it’s impossible to have this confidence if you’re worried about unwanted hair or lack of hair. 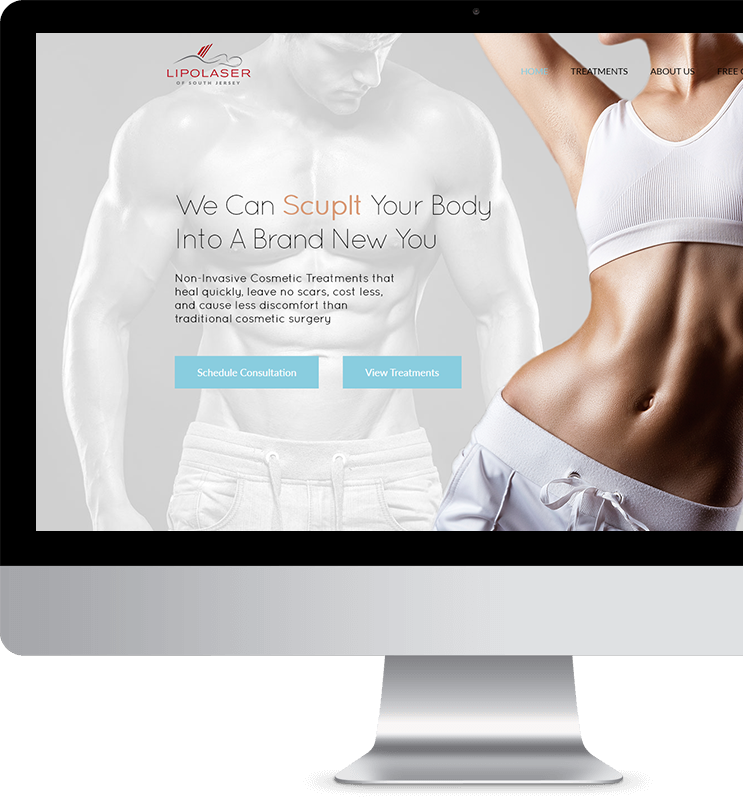 At LipoLaser of South Jersey, we provide patients with non-invasive cosmetic treatments to help you achieve your body goals without the time, expense, and discomfort of cosmetic surgery. At LipoLaser of South Jersey, we pride ourselves on gentle adjustments where we practice natural, drugless, non-invasive techniques in order for patients to reach optimum health and wellness. We are South Jersey’s pioneers in the use of therapeutic cold laser technology. For over 12 years, we have been experts in using cold laser technology to benefit our patients. Every staff member at LipoLaser of South Jersey is a certified LipoLaser technician who has completed training by Yolo Medical, the manufacturer of the Lapex BCS 2000. With our state-of-the-art equipment, including microcurrent technology and fat reducing lasers, we can help you discover the slimmer, more youthful looking person you want to bring to the surface and show the world. Meet our team in person! Call (856) 334-1764 or contact LipoLaser of South Jersey today to schedule your personalized consultation with an experienced member of our staff. Our medical director Keith Radbill, DO, personally reviews all LipoLaser client charts and fine tunes our patients’ programs for optimal results. Dr. Keith Radbill is the LipoLaser of South Jersey’s medical director, a uniquely experienced doctor who brings a wealth of talent and expertise to our office. For more than 23 years, Dr. Jesse Liebman has been practicing chiropractic and taking a holistic approach to his patients’ treatment.